i love that gossip bench. Me too but i would never be off it! A zillion thank-yous. Eye candy. All yum. I have desperately wanted those Acapulco chairs for my decking but they are too spenny, I’ve been checking on the Habitat website for those planters to become available for the past month, and I’ve been looking on ebay for a molecule set on and off for ages. Great spring/summer wish list. As ever, you have impeccable taste. ooo I love that phone! Jenn said it first, but I love the phone too. The acapulco chairs are awesome too! Great finds. 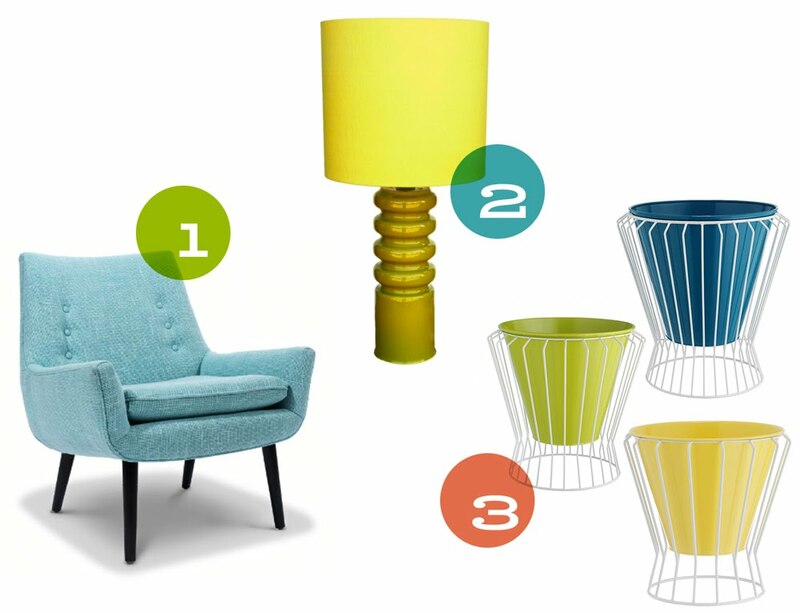 Too funny, was staring at the Mrs Godrey Chair when looking for Claude over at Jonathan Adler – spooky! Glad you all like my finds. it seems I’ve compiled your perfect wish list Juliab! I have been looking for the planters on the Habitat website since i saw them in a mag. I couldn’t find any images so I contacted habitat to see if they had any and they very kindly sent me some. Ahhh…the Trimphone. I loved it so much when i was a kid in the 70’s. My mother’s very glamorous friend Antonio had one and I remember thinking that I must have one when I’m grown up. Hres was a smokey greyish lilac base with a purple handset! She also had the most fantastic huge curved white leather corner unit. She was the epitome of 70’s camp glamour! 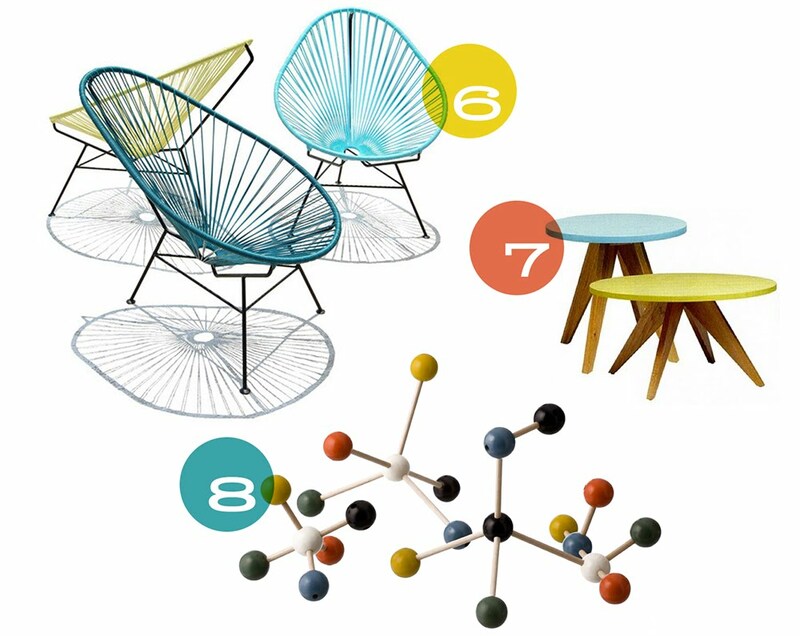 I love the Eames-style molecule set – it needs to be mine! I love that Trimphone!! nice retro style!! wow i love number 3!!! and the gossip bench. amazing! I second everyone’s reaction to the gossip bench…it’s AWESOME! wow for the gossip bench!